Welcome, to a podcast filled to the brim with ancient stories from far away lands; tales of wicked demons, and unlikely heroes, of tragedy and adventure. A podcast hosted by two men, who needed a really good excuse to drink whiskey at noon on a Saturday. 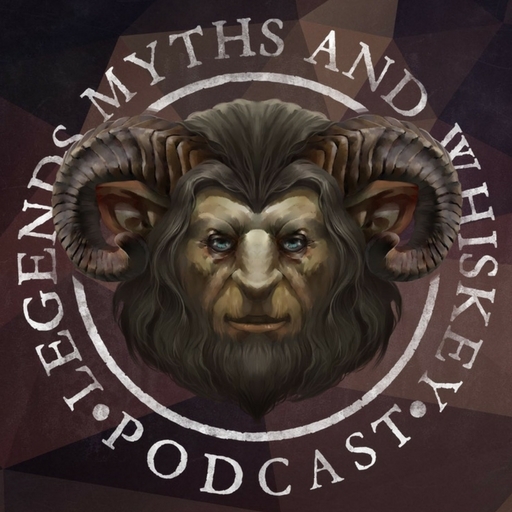 Welcome to the Legends, Myths, and Whiskey Podcast. Given the role ‘Minstrel’ (resident composer), I was tasked with a monumental challenge. Every episode of the podcast contains stories from two different countries. As such, the music created for the stories had to be culturally relevant to the country of origin, as well as being respectful. This created a delicate balancing act of using traditional instruments which didn’t fight the narration too much for attention (though in some cases, this had to happen to ensure we remained faithful to the culture). Although there’s only so much an outsider can do from learning to replicate music in another’s country style, it has developed my skills immensely, and proven to myself that hard work can accomplish any challenge. Below is a handpicked selection of my favourite stories from the podcast so far.